One of my favorite hotels in New York, The Conrad New York, is offering a special Valentine’s Day package. Romance will be soaring high this Valentine’s Day at luxury downtown hotel Conrad New York Couples can indulge in the ultimate romantic experience with superior and lavish offerings for two. Like stepping into a romance novel, the “Love is in the Air” Valentine’s Day package pulls out all the stops. Prepare to be wined, dined, and romanced. The Love is in the Air Valentine’s package, exclusive to Conrad New York, starts at $1,799 per person and all inclusions are offered on February 14th, 2013 only. Book for this Valentine’s Day special by clicking here! 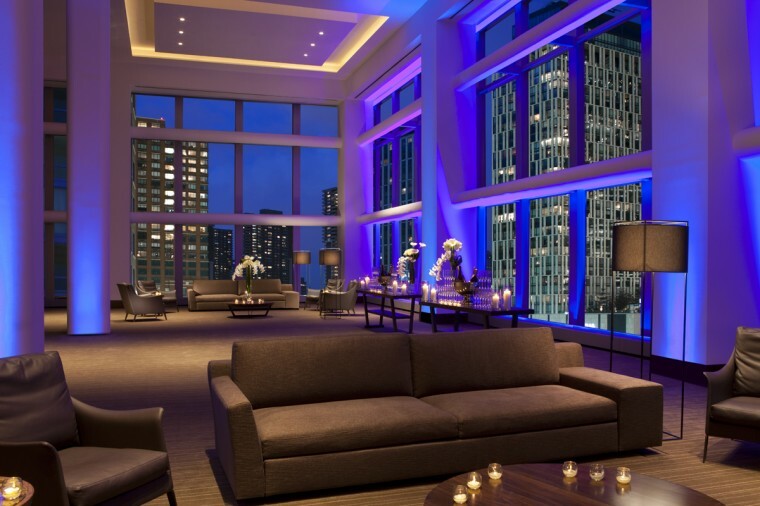 The Conrad New York hotel is a contemporary landmark located in the midst of lower Manhattan. 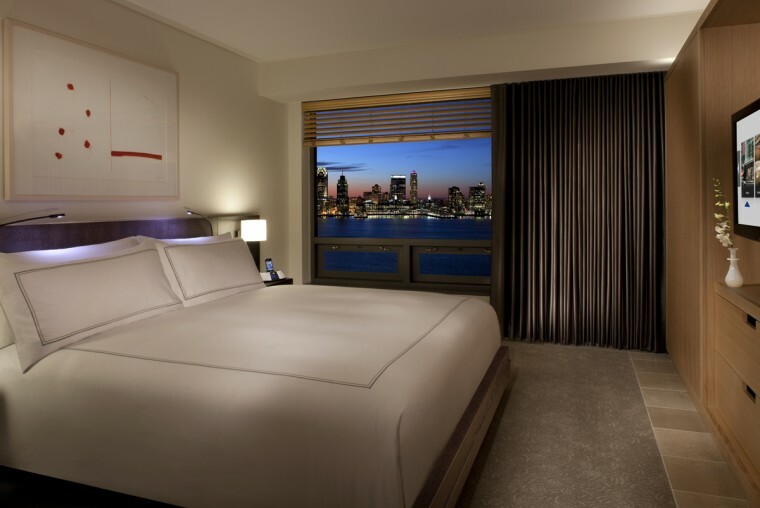 Come enjoy the exhilaration and ambiance that is New York City and mingle with visitors and locals alike, all from the conveniently located Conrad New York. Atrio is known for crafting Mediterranean cuisine in the most sophisticated fashion. From brunch options such as Grilled Cinnamon Raisin Brioche to Rustic Ratatouille, you’ll start your day off right. One of my favorite Happy Hour ideas is a glass of wine and one of Atrio’s Stone Fired Pizzas. The Lamb Merguez Sausage is both sweet and salty, and compliments a glass of red wine.